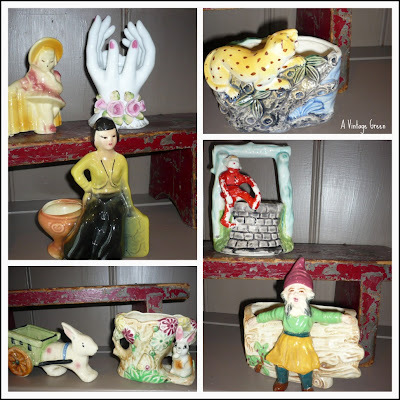 vintage figural planters and wall pockets. The rooster and butterfly are my favorites. They are all so charming! 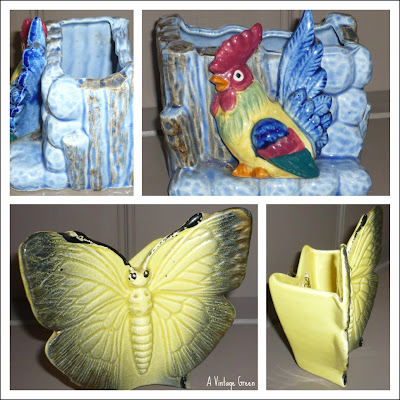 I love wall pockets and planters, especially the ones with figures, animals or flowers. Those planters remind me of things at my Grandma's house in my childhood! 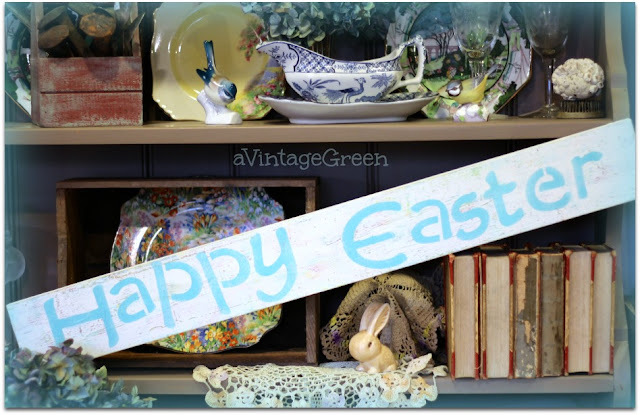 How fun to see your collection.